Beautiful vintage home that has been the Vineyard family summer home for several generations...built in 1905 the original character and charm remain though the house has been updated to provide the current comforts of this true Family Compound. The large wrap-around porch of yesteryear which invites sitting, rocking and sipping tea is solidly in place and sets the tone for the summer. A visit to this family homestead with 5 bedrooms and 4 baths in the main section of the building and 2 bedrooms and 1 bath in the guest wing provides space for generational gatherings and focuses on relaxation, getting reconnected and enjoying all the pleasures of the Island. 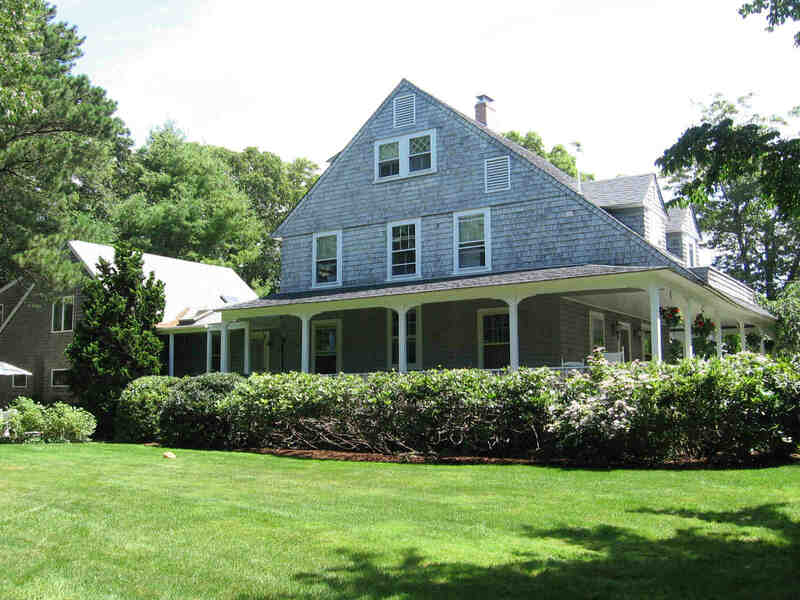 Located on elegant Hatch Road, Vineyard Haven Village is within walking distance. The well-established gardens surround the house and provide splashes of magnificent color. The property is surrounded by mature rhododendrons, huge hydrangeas abound as you approach the house, and roses grace the outdoor patio with wonderful fragrances. A walk through the wooded part of the property feels like a nature hike. The variety of classic and distinctive plantings are everywhere.